Greece-born flyweight Chris Kelades (12-3-0, M-1: 1-0-0), fighting out of Dartmouth, Canada, takes on Ukrainian fighter Alexander Pletenko (13-4-0, M;1: 0-0-0) this Friday night on the M-1 Challenge 93 main card, in Chelyabinsk, Russia. “The Greek Kelades” made his successful M-1 Global debut last November at M-1 Challenge 86, when he defeated Oleg Lichkovakha by way of a third-round submission (Kimura). It’s been more than a half- year since your M-1 Global debut. Why did you take such a long break? In your M-1 Global debut, you have been very cautious during the first two rounds, but in the third round you got a submission. Is it your real fighting style or did you just wanted to win the debut fight without taking risks? What can you say about your next opponent, Alexander Pletenko? You have similar records. Does it mean you have similar fighting styles? Before joining M-1 Global you had never fought anywhere except North America. What does it feel like to fight half a world away from your home? 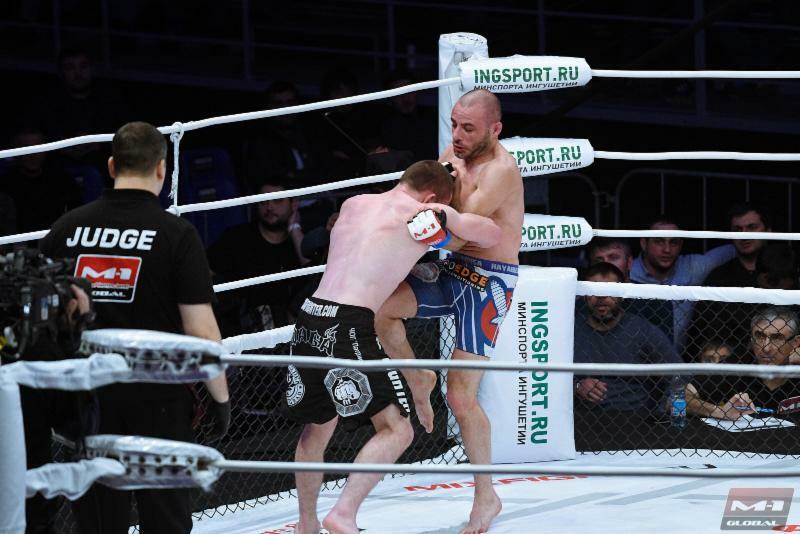 Undefeated M-1 Challenge middleweight champion Artem Frolov (10-0-0, M-1: 7-0-0) defends his title for the first time against American favorite Joe “Diesel” Riggs (47-17-1, M-1: 2-0-1) in the M-1 Challenge 93 co-featured event.